This pattern has a stellar WOW:WORK factor. 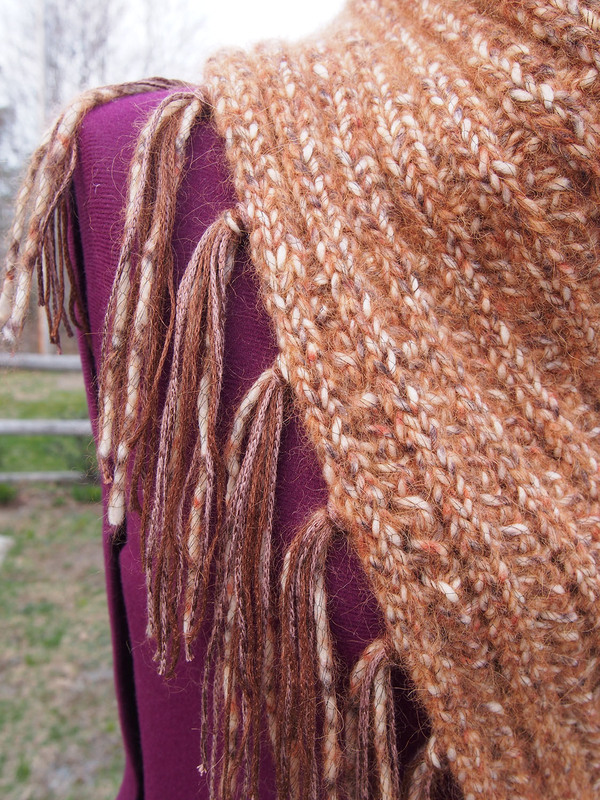 It's a very simple ribbed strip knit with bulky yarn and big needles, so it only takes a day or two to make. 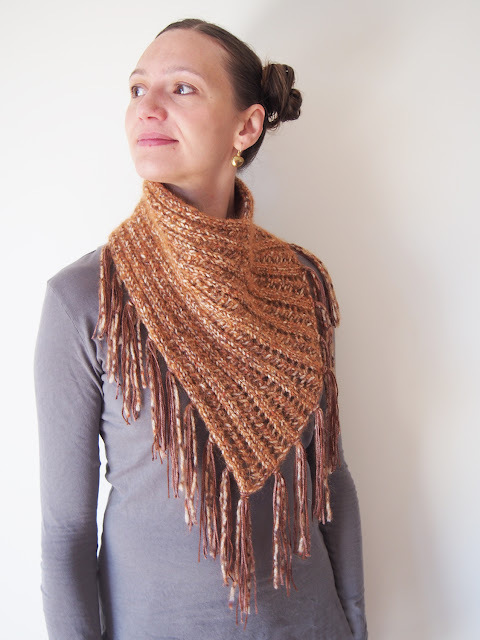 The front fans out by a clever use of lace rib attached to a firmer section of regular rib to go around the neck. Blocking makes all the difference, don't omit this step! The summer has started, so I blocked this beauty in the sun, shortening the whole process. I pinned out and sprayed with Eucalan-spiked water, which is my classic way of blocking. 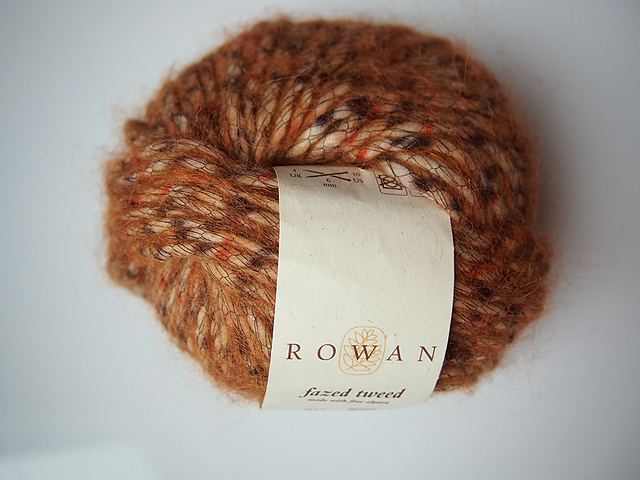 I decided to use Rowan Fazed Tweed for the cowl, even though I was on the low side with yardage (152 yards for 2 skeins). This is a fascinating yarn, and I was happy to finally try it out. 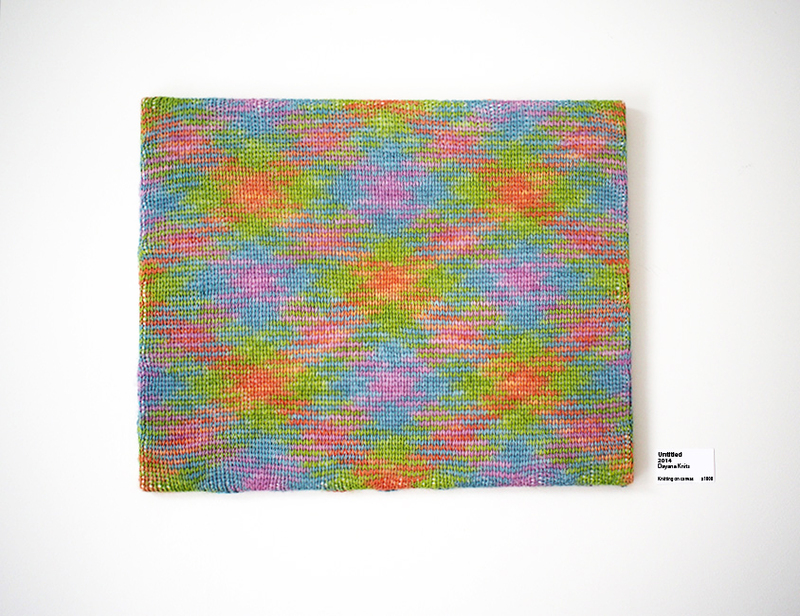 It was released for the 2014 A/W season, and is a mix of 72% Wool, 22% Alpaca, 6% Nylon. 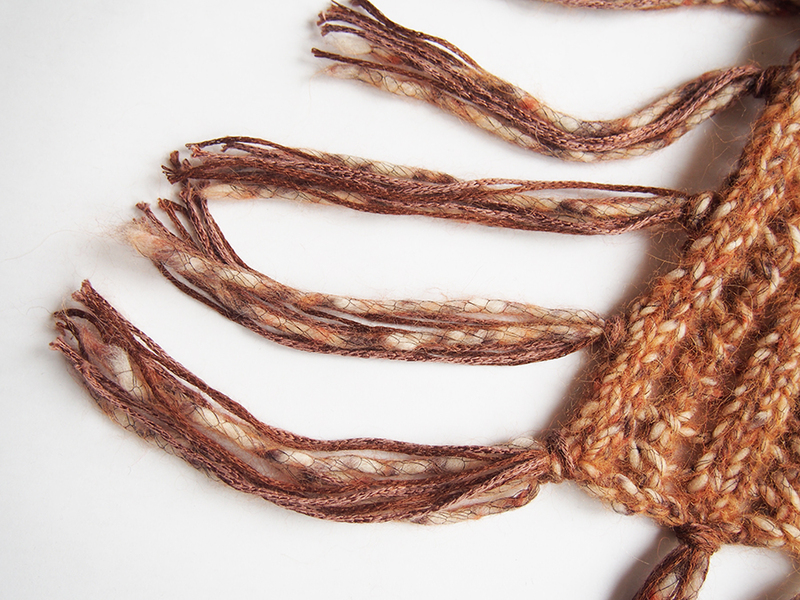 The interesting part is that the thick, almost felted portion of speckled wool/alpaca is encased in a fishnet of nylon! This shade is Holly, and I found the net was a little dark for my taste. The other shades do have different color netting, but it does tend to be high-contrast with the white backgrounds that are in each shade. I like this netting idea though, I am going to go out on a limb and say that it 1) reduces scratchiness and 2) reduces pilling. Only time will tell, but this stuff feels great against my neck! 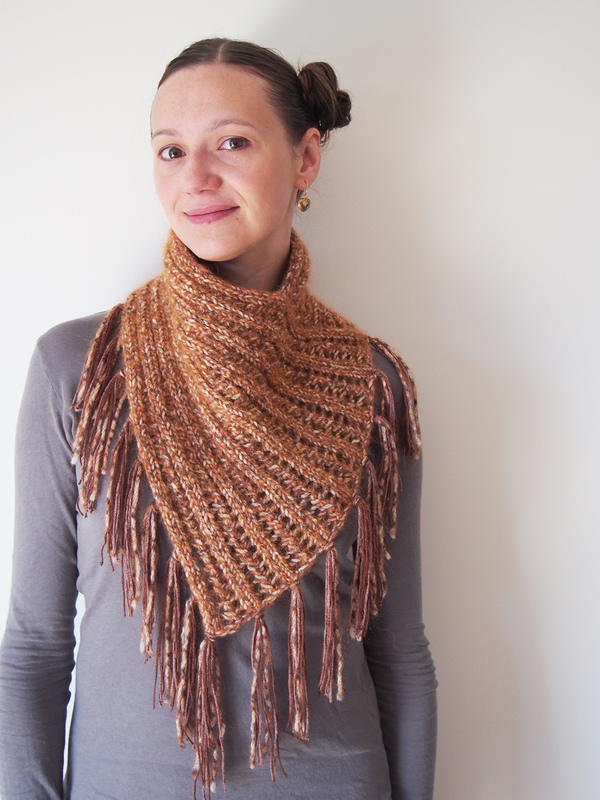 It really is a showpiece yarn that is perfect for a cowl like this. 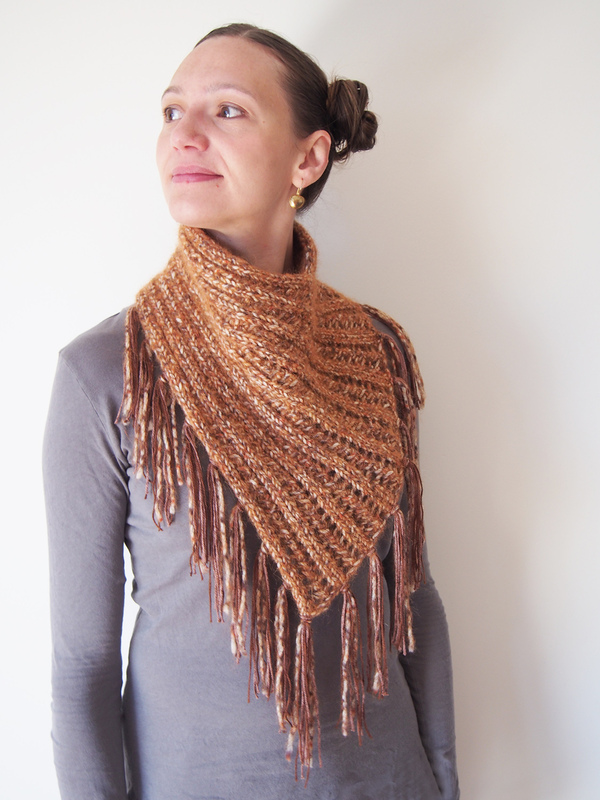 But I did run out of yarn for the fringe. You need 72 pieces over a foot long, you see! 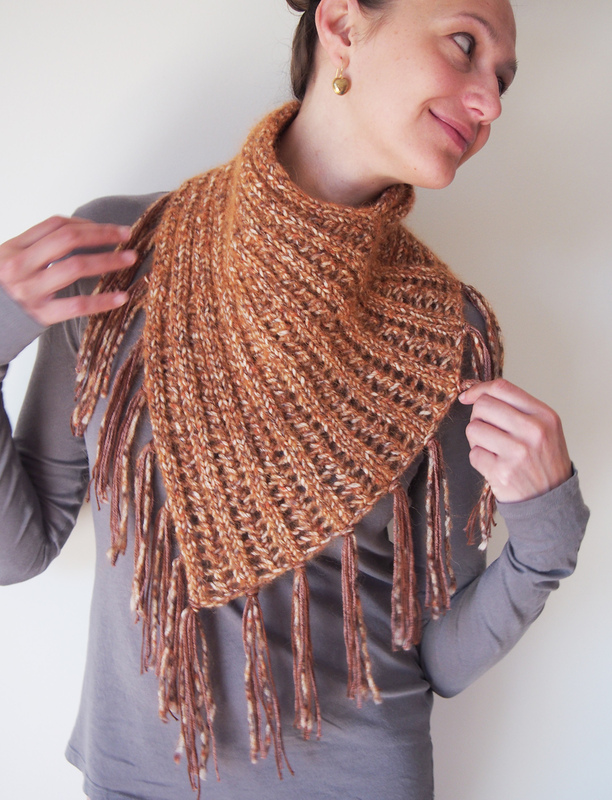 If you'd like to make the Arica Cowl out of 2 balls of Fazed Tweed, you have two options. Shorten the fringe, or dive into your stash and find a complementary color! That's what I did, and I think it was a blessing in disguise. Beware fringe in purely Fazed Tweed -- it sticks to itself very easily, almost like velcro! I avoided potential dreading by choosing stash that has a viscose/nylon feel, so it all ends up very silky. 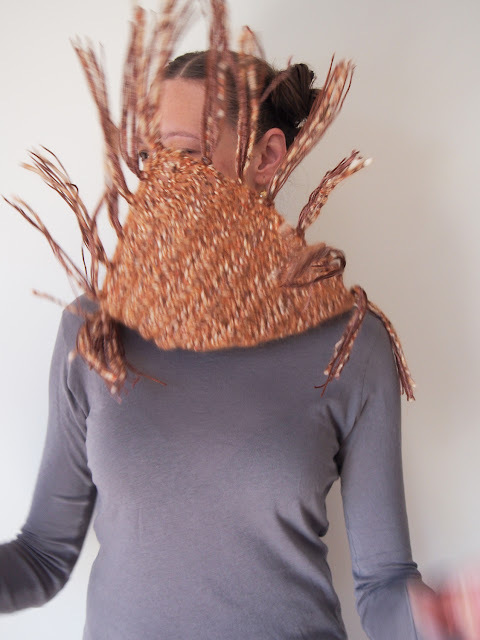 I also like the idea of having thinner pieces of fringe with the thick. Makes it feel less weighty. 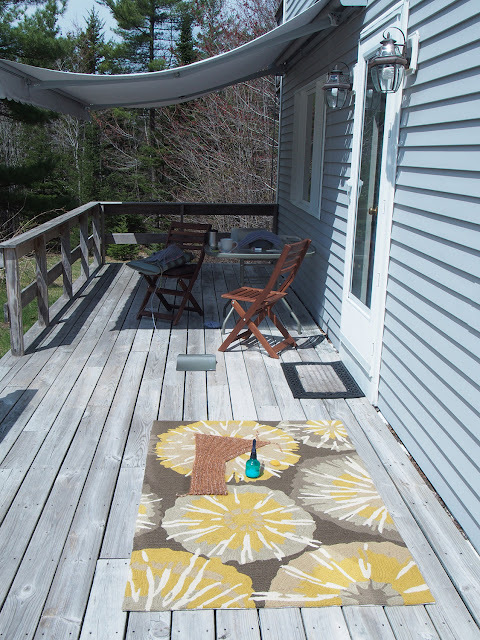 AND NOW FOR SOME HOUSE UPDATES! The house is at a standstill, but the garden certainly is not! Very exciting. A lot of you were right about the shoots coming up in previous posts. If you know more, please leave a comment! I've numbered the pictures for you. Here are the current "knowns" and "guesses": ETA: Now with updates from all your great input, thanks! 3) Iris? YOU: Yes, silly, it is an iris. ETA: It opened, it's a beautiful white one! 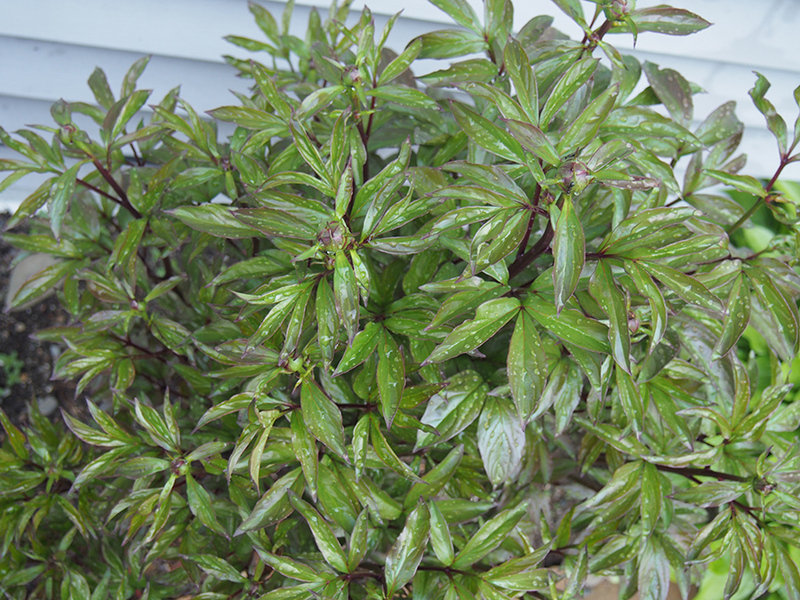 4) Peonies, complete with ants! 8) ME: Lavender? There is a eucalyptus smell to the branches and leaves. 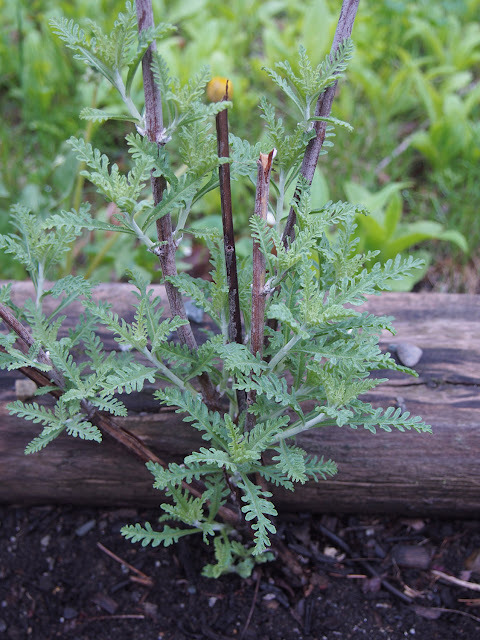 YOU: Number one answer was Russian Sage, but I also got mugwort, achillea (yarrow). 10) Tiger Lily? 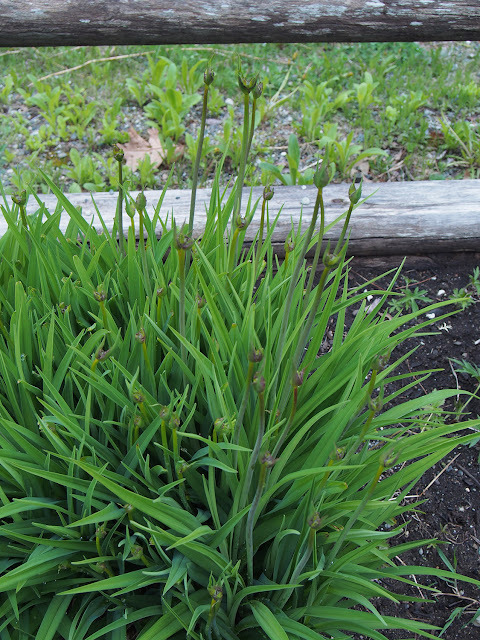 YOU: Sisyrinchium. 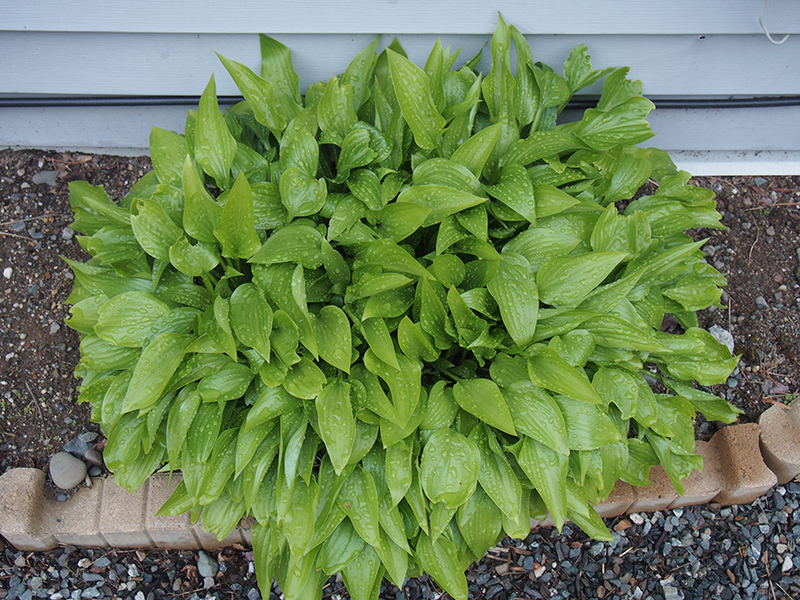 11) Many think this is hydrangea. There is zero activity going on in the sticks, but something down below. 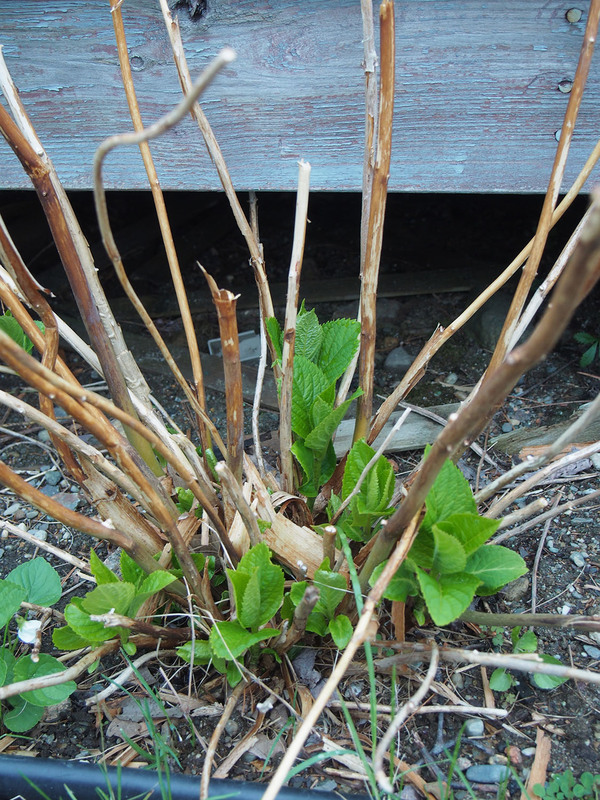 YOU: overwhelmingly hydrangea, but 50% think I should cut the stalks. 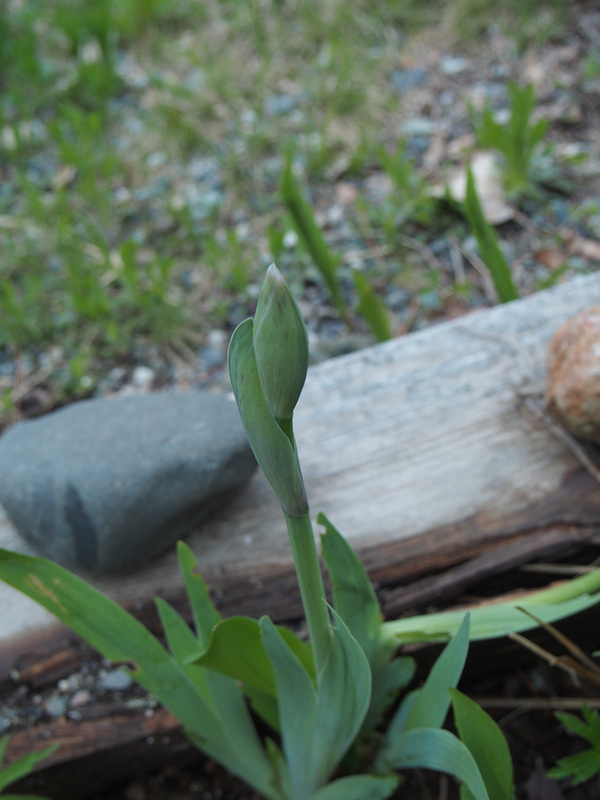 Now a master gardener friends says cut stalks to first leaf bud! Will do. 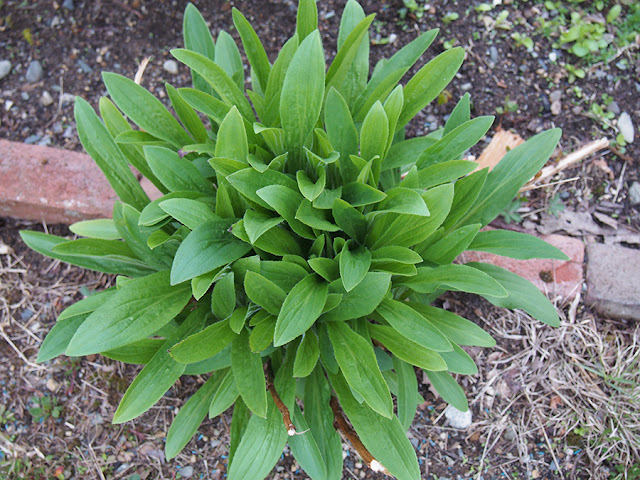 13) Looks similar but does not smell minty. YOU: oregano. yeah, it smells herby, but doesn't have the same coloring or Mega Oregano smell as the oregano plant I got from the store. 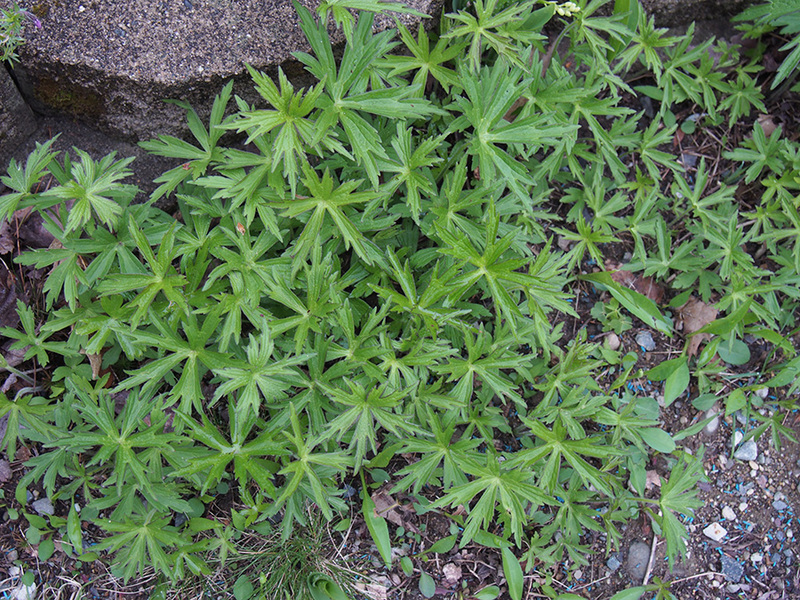 14) This stuff is everywhere - I mean weed-like everywhere... There are sticks pointing out of this one, but not all (because I think they spread). YOU: black-eyed susan (i.e. rudbeckia), echinacea, aster, purple cornflower, Centaurea (cornflower). 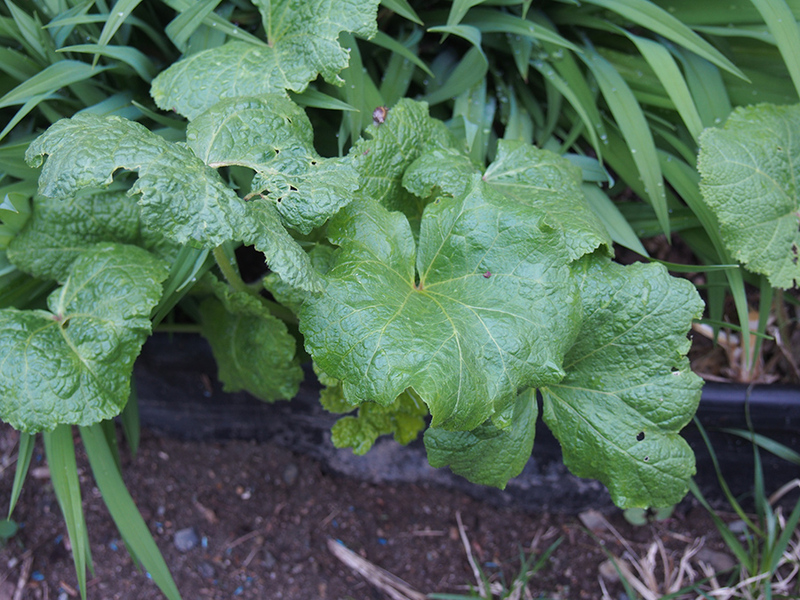 15) This stuff, too... is it a weed? YOU: Wild geranium, fine-leafed geranium, potentilla, anemones, wormwood, sweet woodruff. 16) Purple flowers here, but striped like candy in another part of the property. 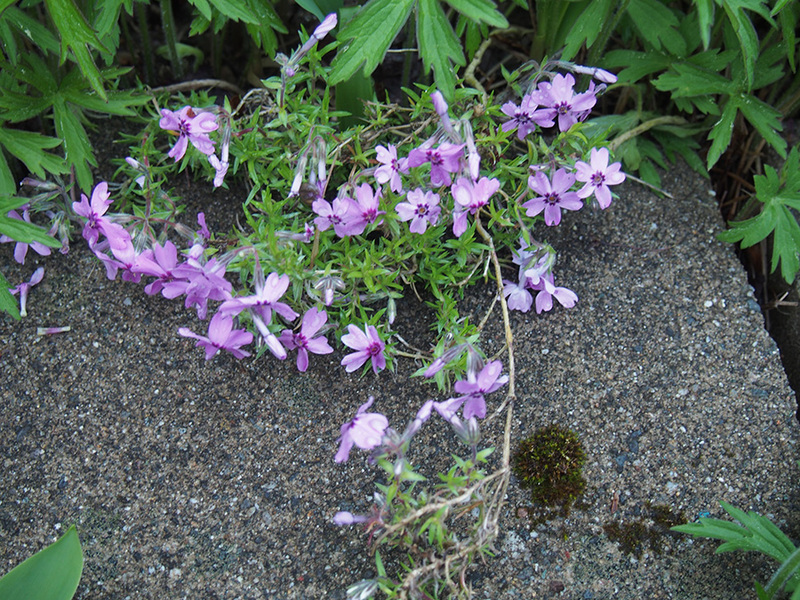 YOU: creeping phlox. 17) Huge leaves, under another planting, big thick trunks. The snail loves it, not sure if I do! YOU: hollyhock, burdock. 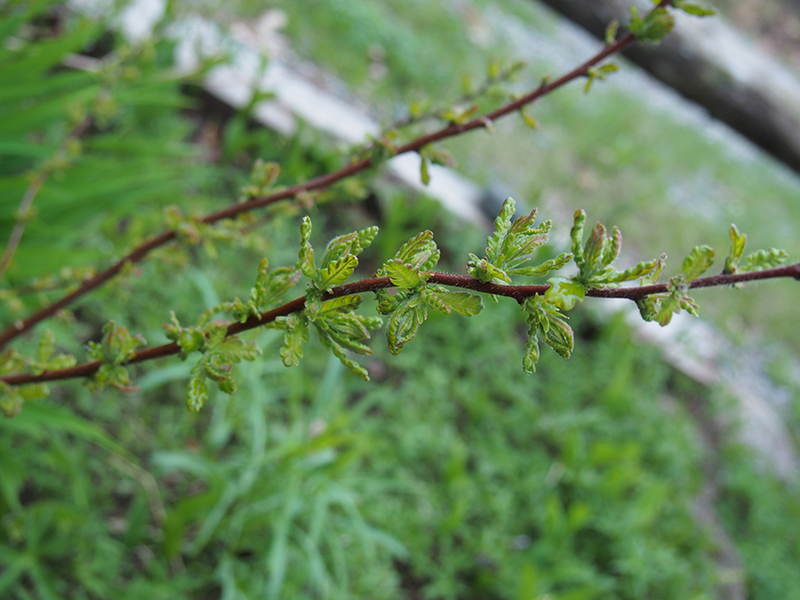 18) Quite a few of these, they have flower buds. YOU: Aquilegia/columbine/grannie's bonnets. One is opening very soon! That will do for now. :) I'd love for you to leave your thoughts in a comment. I do realize that people have trouble doing that on my blog though, so you can always scroll to the bottom left of the page and send me a direct message. 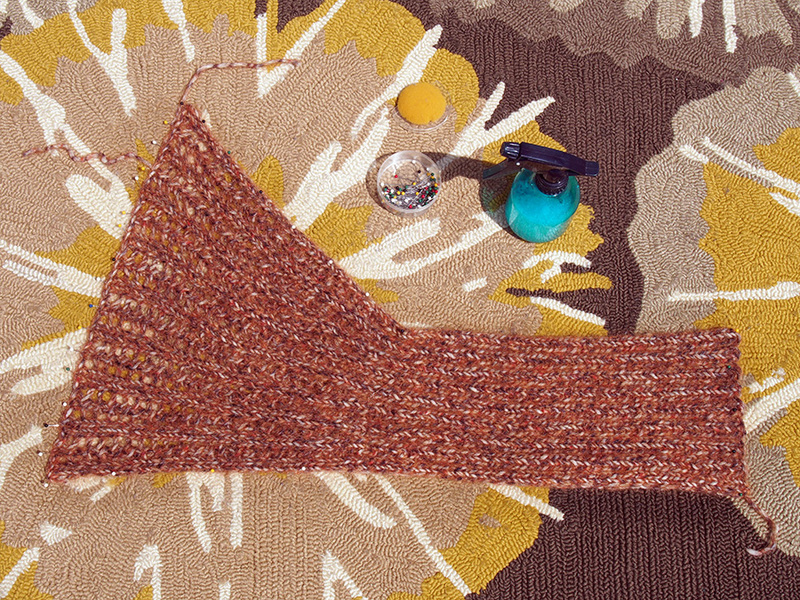 Coming up next, a sweater in a linen/silk mix, a treatise on CALs and a funky cardigan! Want to know when I have a new blog post? This is terrific. I am always impressed by how much you accomplish. And I love your gardens. I miss New England plants. 8 is not lavender but I can't tell you what it is. 18 is Aquilegia also known as granny's bonnets, pretty annuals that seed themselves around and come in lots of colours. And yes 11 is a hydrangea. 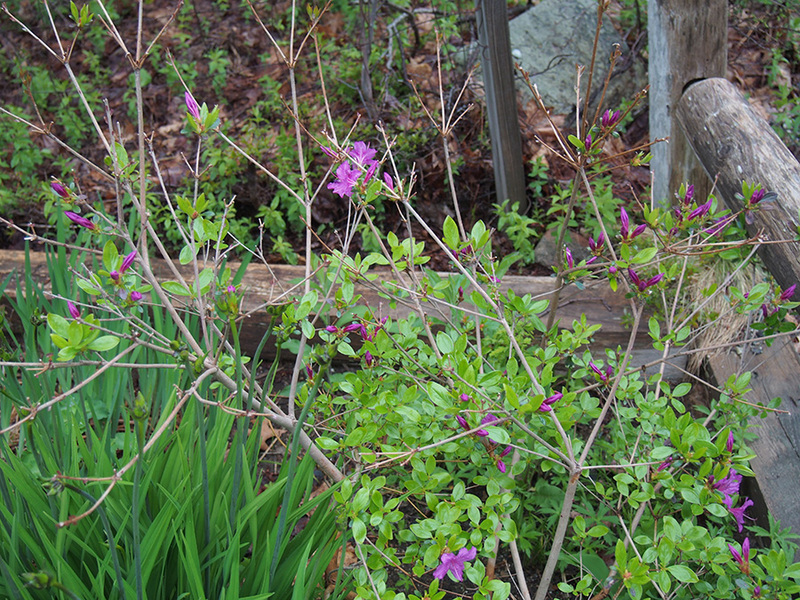 I think you could prune off the old wood, some varieties flower on old shoots but it doesn't look as if that one will. Maybe wait a few weeks to be sure! 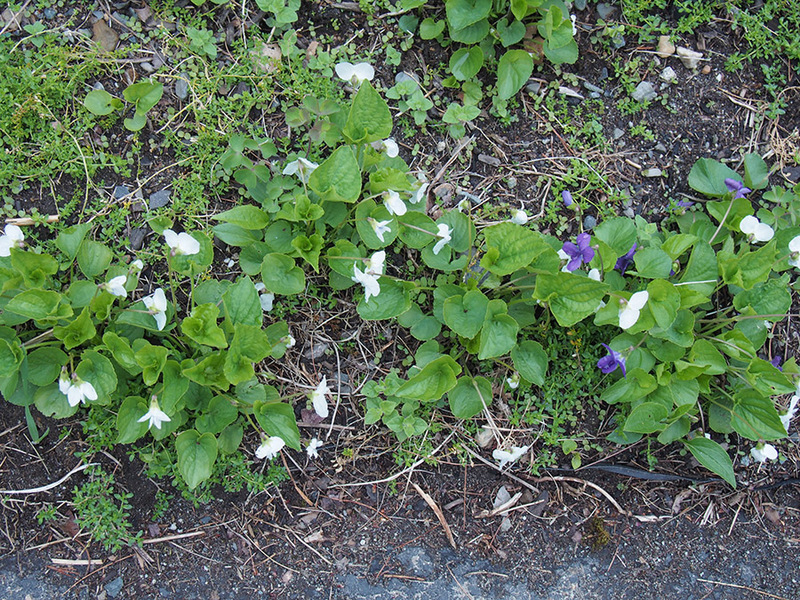 7. is Johnny Jump Ups, which are also called Violets. #8 is called Russian Sage. 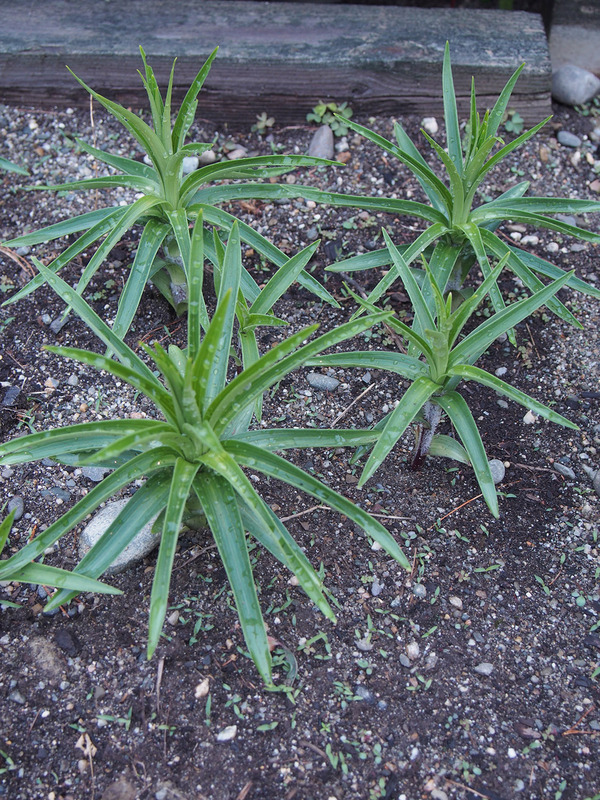 It will grow into a three foot high clump that usually needs a stake. Apparently, wildlife doesn't like the smell. And #14looks like black eyed Susana. I will go look at my garden and try to figure out more tomorrow! Rudbeckia is the other name for #14. I think 12 is catnip. If you have or can borrow a cat, introduce it to the plant. If it goes crazy, it IS catnip. Cats love it. Beautiful blog, beautiful knitting! 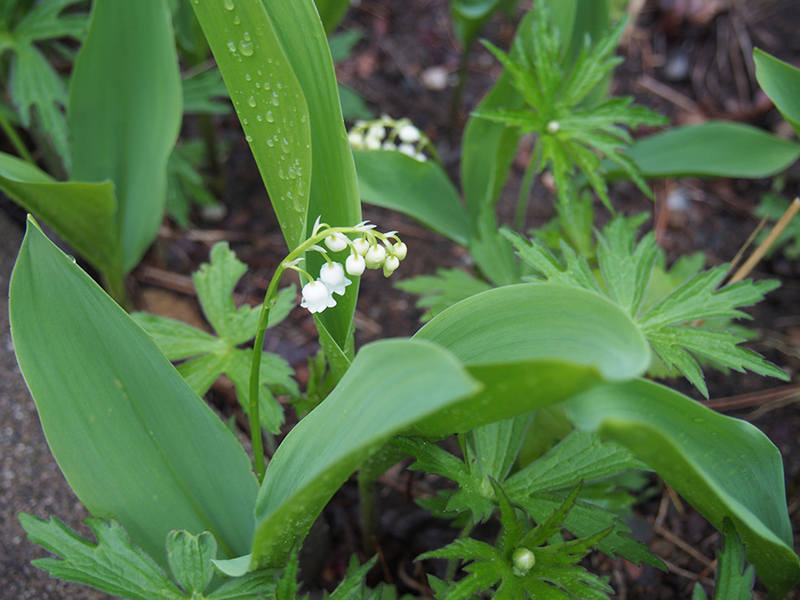 I click with frequency with hopes for new posts, now even more so to see the emerging garden. 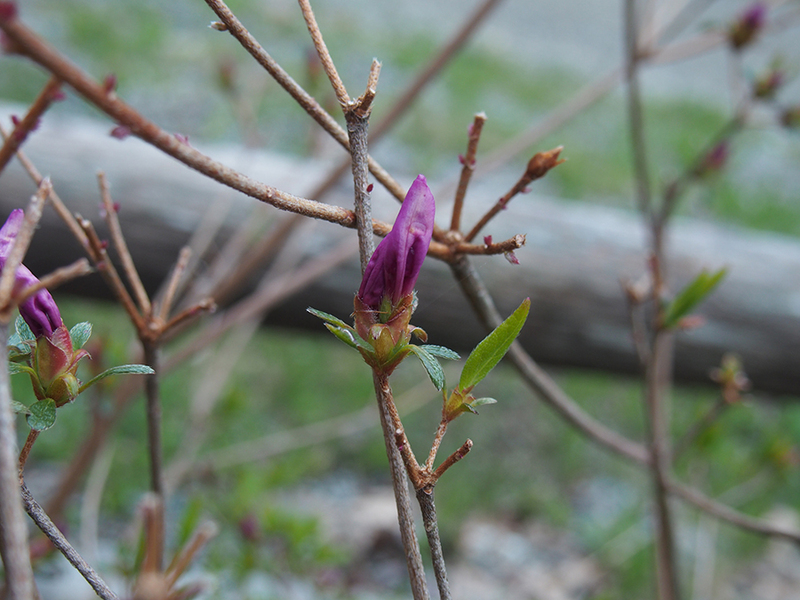 Spring is the best! 8. Russian sage (amazing aroma). 11. Hydrangea--wait until it blooms to determine where to prune. 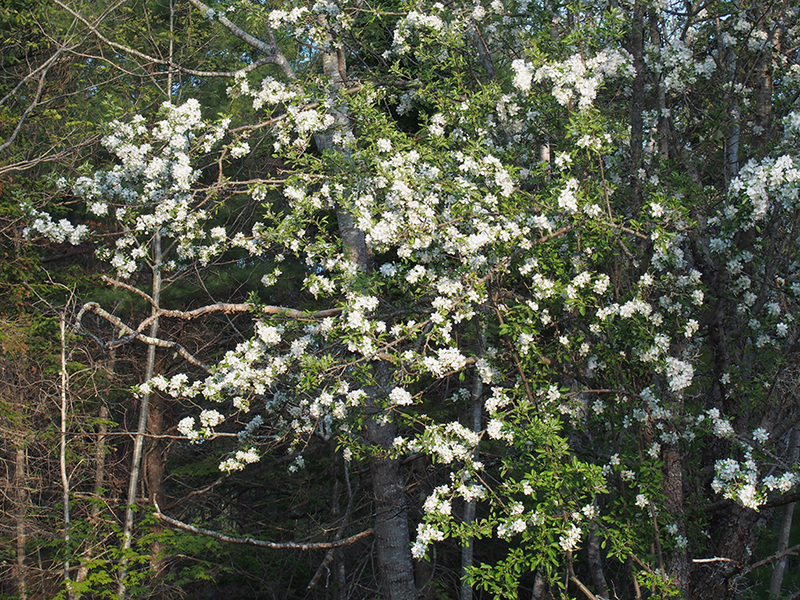 Some like to be fully pruned; others need "old wood" to bloom next year. 12. Could be catmint--pretty purple flowers will tell. 15. 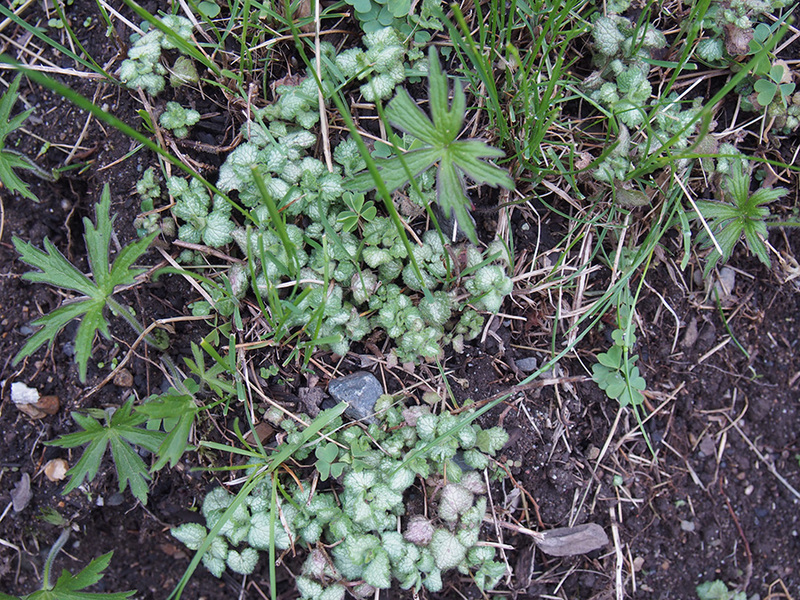 Potentilla? Not sure there. 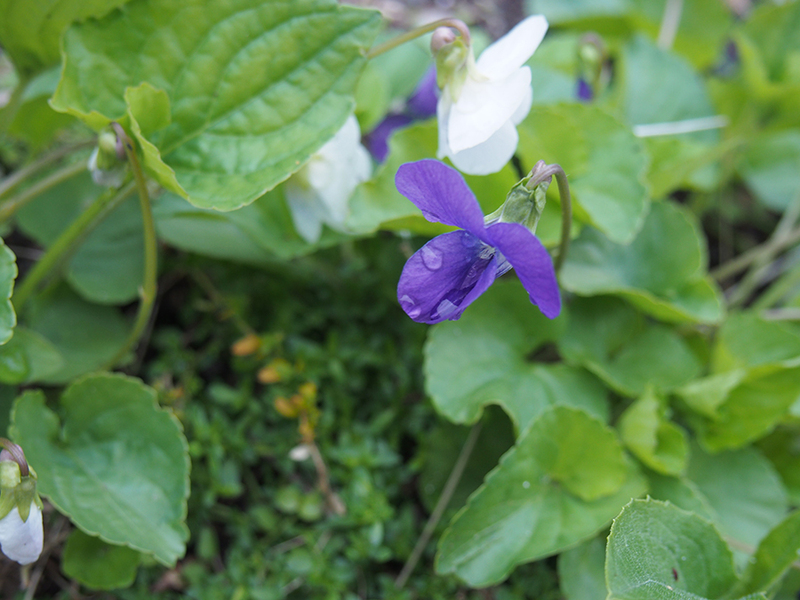 7 definitely violets - which come in white and ... violet! 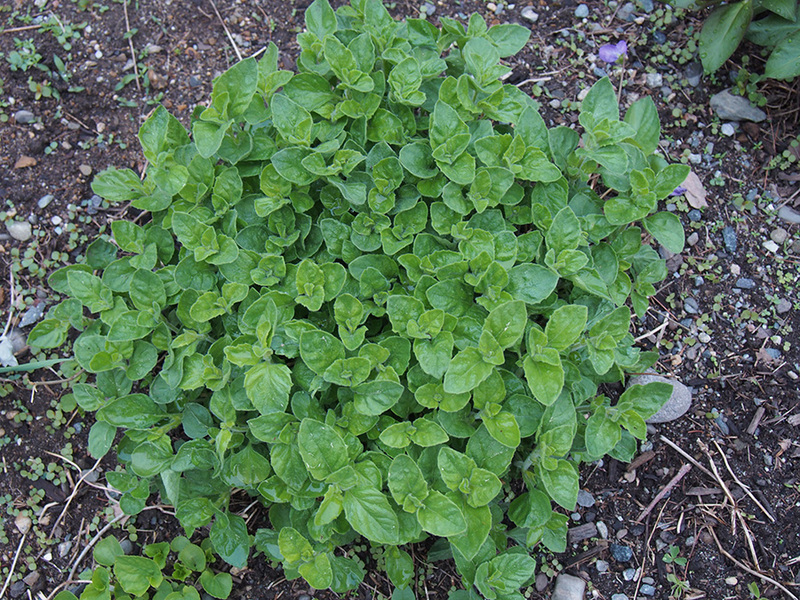 13 could be marjoram/oregano - if it smells herbal but not actually minty. It´s great to see how much the hemerocallis, iris, and nepeta have grown since last time! I think the plants in picture 15 are anemones. 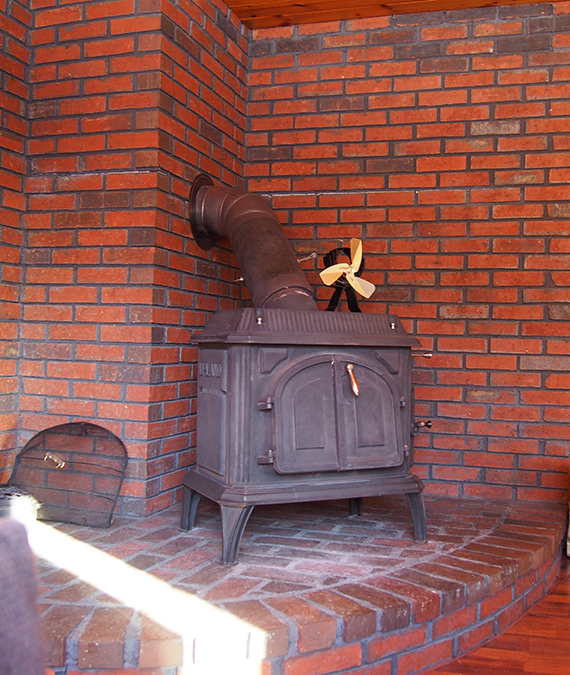 They show up in some of the other pictures, too, and the ones in picture 2 already have white bulbs. 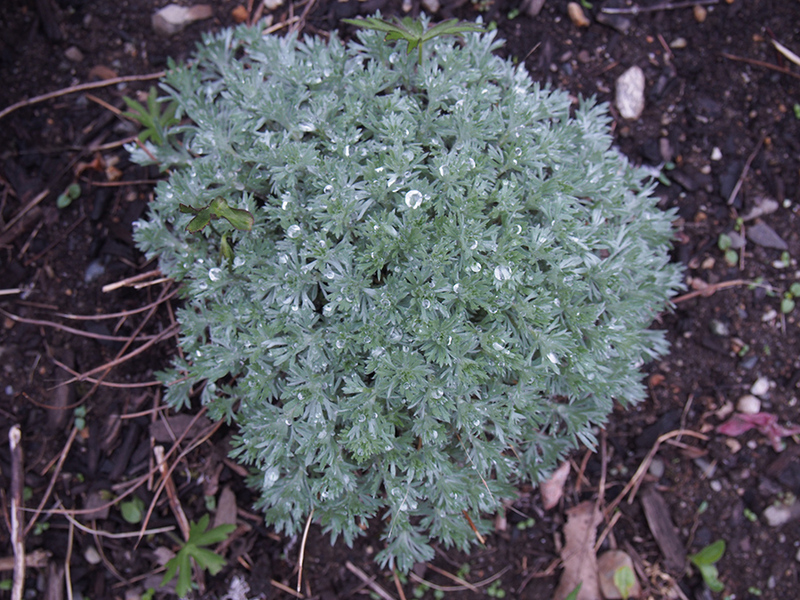 I have anemone sylvestris on my balcony, and the leaves look very similar. Yours probably are anemone canadensis. Beware, my anemones produce so many seeds they spread into other pots on the balcony. I am so impressed by this that I can´t bring myself to reduce them to make much needed room for other plants. The very last photo, with the green and the interior lighter shade of green (almost white) is a perennial in the lamium family. I always enjoy reading your blog, Dayana. 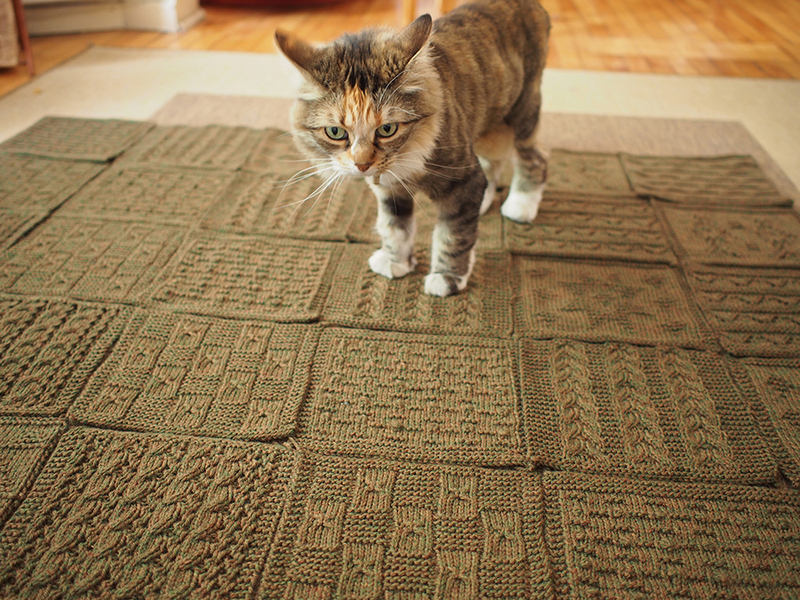 I come for the knitting and hang around for whatever you're writing about! 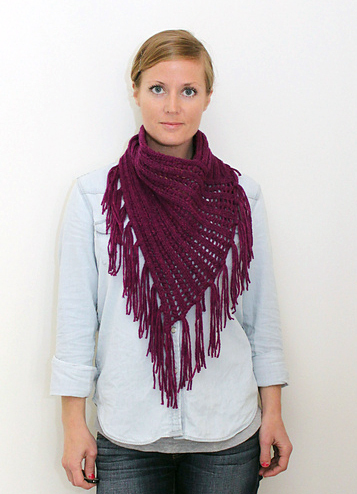 Love your cowl, How lucky you were to test it. 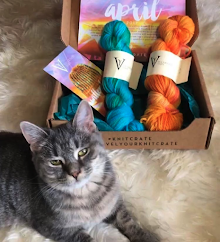 This yarn looks quite intriguing. On the garden, a few comments. 8: this does not look like lavender. Could not tell you what it is, but lavender, even dried branches, smell of lavender. 12: it looks like mint and it smells like mint, which means it most probably is mint. And it looks like peppermint, the darker kind. 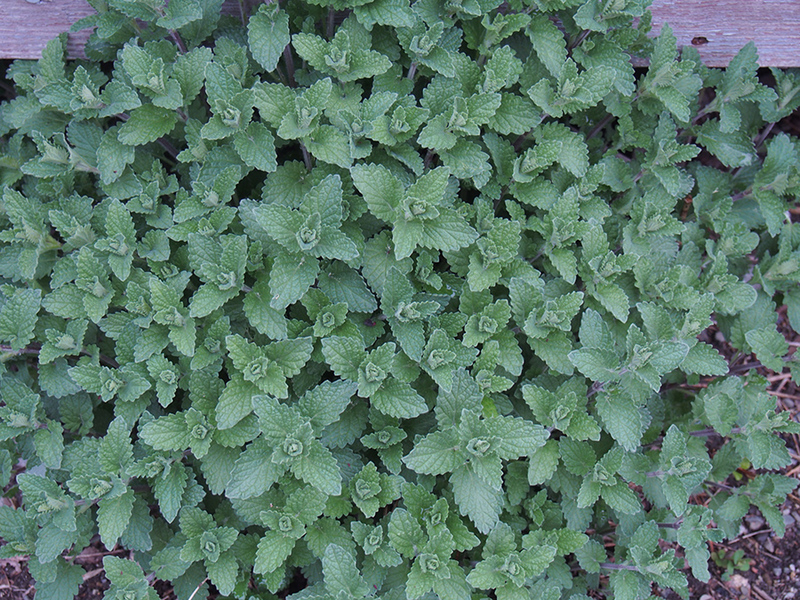 The other softer mint has a lighter colour, and does not smell as strong. Maybe 13 is mint too but it should smell like mint. Hope it helps. It is summer here in Montreal too, the humid, too hot already kind of summer. Number 8 is Russian Sage. Mine gets to be about 4 or 5 feet tall, it also likes to spread. The Bumble bees in our area love it. 3)iris,7)wild violets,8)mugwort,10)tiger lily,11)hydrangea-cut off the dead stuff at ground level at the end of the growing season,12)spearmint or catnip-spearmint leaves taste like chewing gum and catnip tastes like peppery grass,13)oregano,14)echinacea or purple coneflower,15)wormwood-the embankment at the edge of my yard is covered in it!,16)creeping phlox,17)burdock-it is a weed that will have velcro-like seedpods that you will come to hate if you have a dog,18)no clue,19)no clue,20)dusty miller or artemesia. 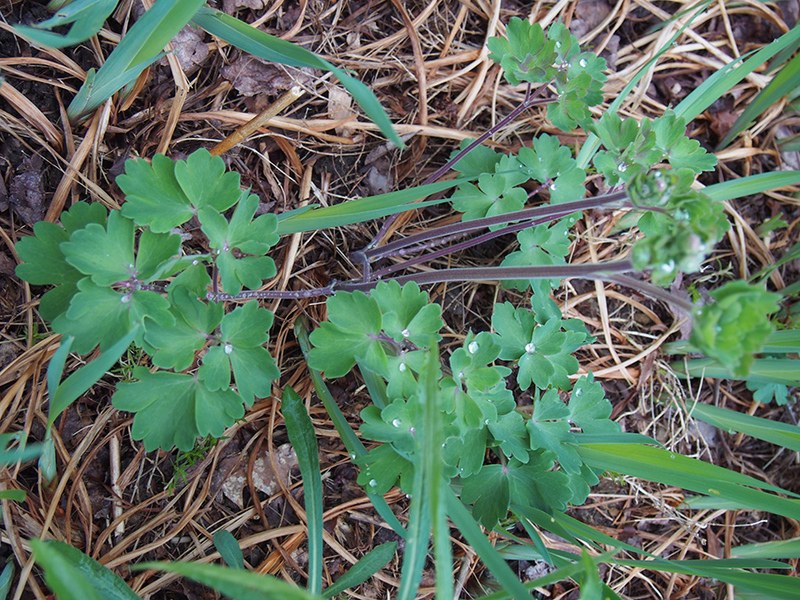 18 columbine, 20 artemesia. I think 9 is spiderwort, not day lily. 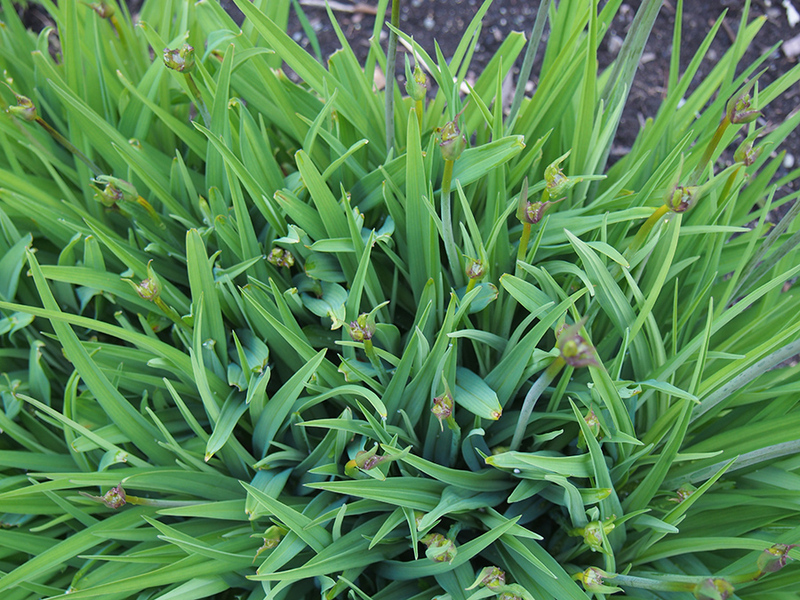 If the blooms are blue, it's spiderwort. The last one ia lamium and will bloom soon in pink, white or yellow. 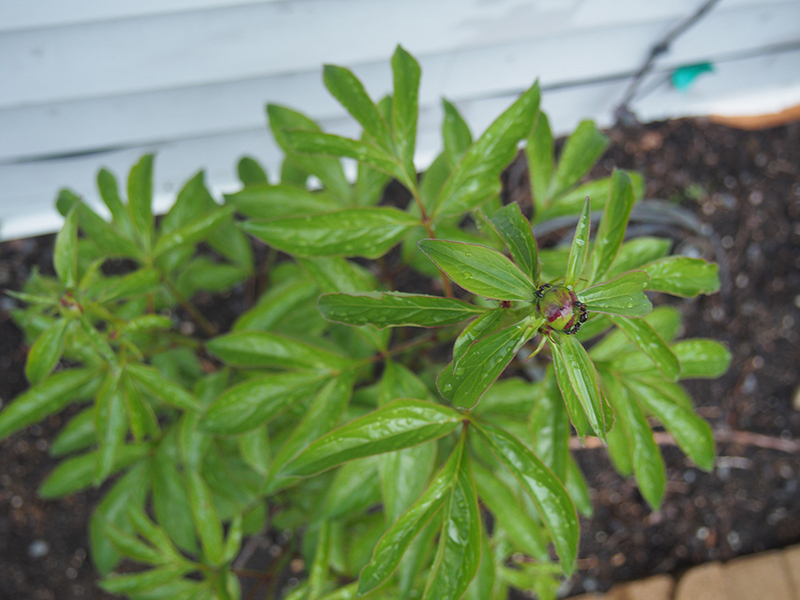 The peonies need the ants to open! Dayana, I just love your blog. And I really like the look of the fazed tweed - I've been interested in working with it for a while and it's good to see how it knits up. 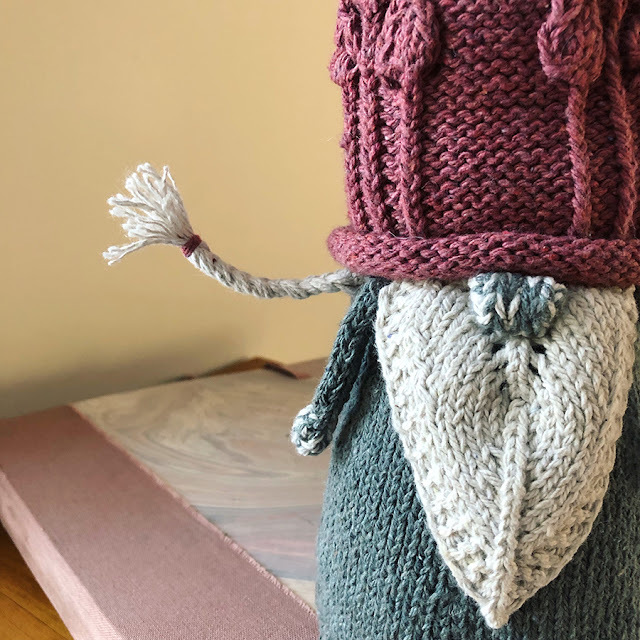 I JUST started a knitting blog of my very own - would you mind terribly if I liked to yours on my blog roll?